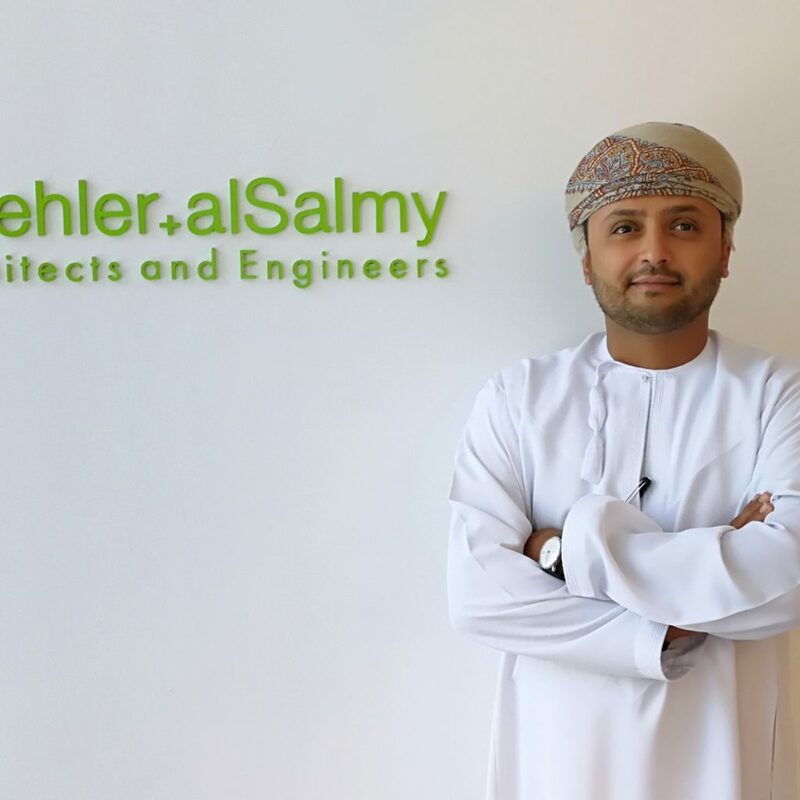 Muhammad Sultan AlSalmy is the managing director, partner, and lead architect of Hoehler + alSalmy Architects and Engineers. The Omani-German Architectural and Engineering consultancy was established in 2009. At the age of 29, AlSalmy was the youngest architect to establish the international architectural firm in Muscat, Oman. He solely nurtured the company to grow from one project in 2009 to over 35 design and construction projects, with over 20 international awards from Muscat, Dubai, and the USA, competing against some of the biggest projects and consultancies around the world. His genuine passion for architecture enabled him to attain the ultimate achievement from his first designed and constructed project with the company. The German University of Technology, Oman (GUtech) became the first and only private establishment to be visited by His Majesty Sultan Qaboos bin Said in 2012 as recognition of not only the purpose of the building, but also the uniqueness of the construction and technology brought to the Sultanate of Oman. Shortly after, the first Omani-German cooperation of its kind in Oman rapidly became a leading name owing to their ability in creating modern, sustainable designs inspired by local traditions where AlSalmy places great efforts in each and every project the company undertakes; from its initial design stage to project completion, ensuring the highest implemented standards are met throughout. Some of the companys known projects include the award-winning Buraimi University, the new German Embassy in Muscat, as well as the amazing History of Science Centre which is soon to be open to the public in September. Regardless of the current market instability, H+S strives to push through further design and construction barriers of the country whilst bringing new technology to the region.